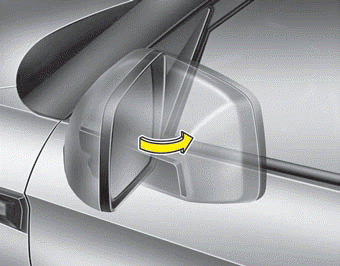 To fold the outside rearview mirror, grasp the housing of the mirror and then fold it toward the rear of the vehicle. 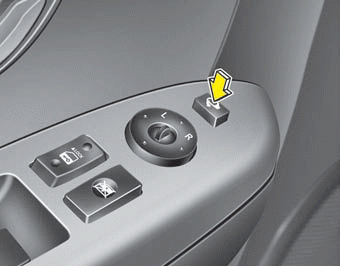 To fold the outside rearview mirror, press the button. To unfold it, press the button again. In case it is an electric type outside rearview mirror, don’t fold it by hand. It could cause motor failure.